Driving drowsy can be an important factor in truck accident cases. Many trucking companies provide financial incentives for their drivers to deliver goods farther and faster. When this leads a tired driver to stay on the road longer than he or she should, both the driver and the trucking company can be held responsible. At Riley & Jackson, P.C., we handle truck accident cases involving issues such as driver fatigue and overloaded trucks. We offer a free initial consultation to discuss your case. Hours-of-service regulations put limits on how long truck and other commercial vehicle drivers may drive without taking a rest break. We often see cases in which drivers stay on the road longer than they are allowed to do so by law. Department of Transportation regulations require that a driver log be maintained with the vehicle to show that the driver complied with hours of service regulations. However, truck drivers may insert false entries to show they were resting when in fact they were still on the road. There are ways to determine if the truck driver complied with hours-of-service requirements. Many trucks are equipped with on-board computers and GPS units, which can provide such information as the truck’s location and speed. If the GPS shows the truck was driving 70 miles an hour on I-65 when the driver claimed to be resting at a truck stop, your case just became a whole lot stronger. We can also compare the log entries with mileage calculations to determine whether the driver’s entries indicate “speeding on the log”. 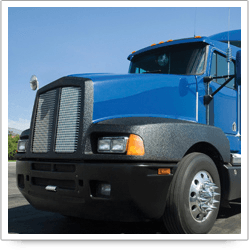 For more information or to schedule an initial consultation with truck driver fatigue attorneys, please call 205-879-5000 or send us an e-mail via this website.